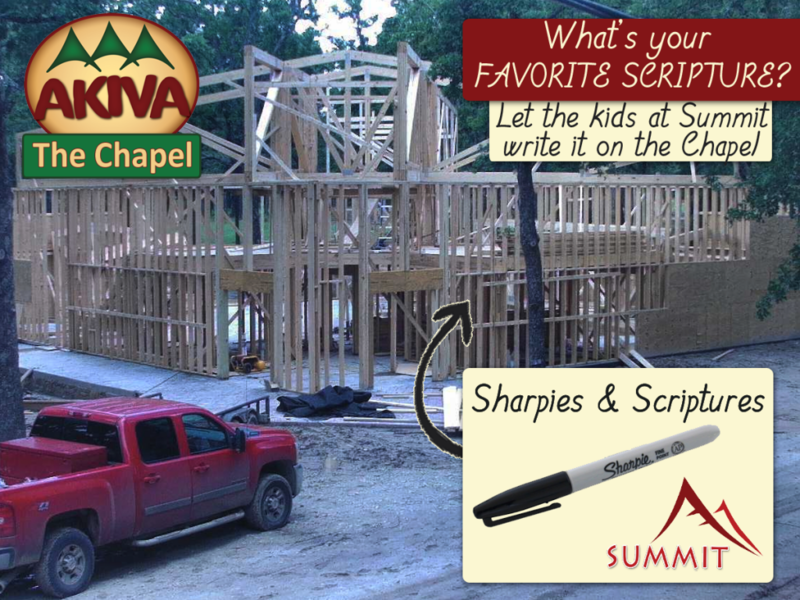 Let’s bless the Camp Akiva Chapel with Scriptures! This weekend we are having the Summit (ages 16-18) at Camp Akiva. With the new Chapel being built, we wanted to have the kids write scriptures on all the support beams and walls before the sheet rock goes up. We will let them write their own scriptures but THEY CAN WRITE YOURS AS WELL.